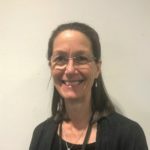 NEW PROJECT: Jill D. Berrick and Marit Skivenes is awarded a Peder Sather Grant to conduct research on child protection interventions in Norway and the US. Termination or curtailing of parental rights is one of the most invasive and consequential decisions a state can make. Strong critiques of child protection interventions are uttered regularly in the mass and- social media, and the legitimacy of child protection systems is challenged both in the U.S. and in Norway. The research project “The Basis for Legitimate and Justified State Intervention in Families: USA and Norway” aims to examine citizens’ opinions and sentiments on the child´s best interests and thresholds for child protection intervention through survey vignettes and survey experiments in the U.S. and in Norway. These two countries are ideal cases for studying this topic, as they represent two different welfare state models and child protection systems. The project will contribute to closing the knowledge gap on citizens’ views on child protection; findings have the potential to inform child welfare policy within the U.S. and Norway, as well as in other high-income countries and elsewhere internationally. The findings may also improve our understanding of legitimacy in modern welfare states. 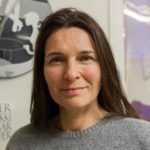 Marit Skivenes is Research director at Centre for Research on Discretion and Paternalism, and professor at Department of Administration and Organization theory at University of Bergen. Jill D. Berrick is Professor II at Centre for Research on Discretion and Paternalism, and Professor at the School of Social Welfare, UC Berkeley. What is Love in Child Welfare?